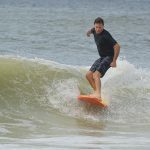 Surfers filled the Gulf waters off Anna Maria Island Oct. 9, taking advantage of the big waves generated by Hurricane Michael. The only other evidence of the massive storm around Anna Maria Island? Minor street flooding at high tide, along with gusty showers, scattered debris and a disrupted school day for island kids. The Panhandle was not so fortunate. On Oct. 10, Michael roared ashore, making landfall at Mexico Beach. With winds at 155 mph, it was a Category 4 on the Saffir-Simpson scale — the first Cat 4 to hit the Panhandle and the third most powerful Atlantic hurricane in terms of pressure. The devastation drew comparisons to 1992’s Hurricane Andrew. Michael flattened the small beach town of Mexico City and nearby coastal communities, killing at least 17 people, according to CNN. Michael passed Anna Maria Island overnight Oct. 9-10, chugging some 200 miles off the coast. Islanders reported tidal flooding, both overnight and again the afternoon of Oct. 10, when canals overran their seawalls. 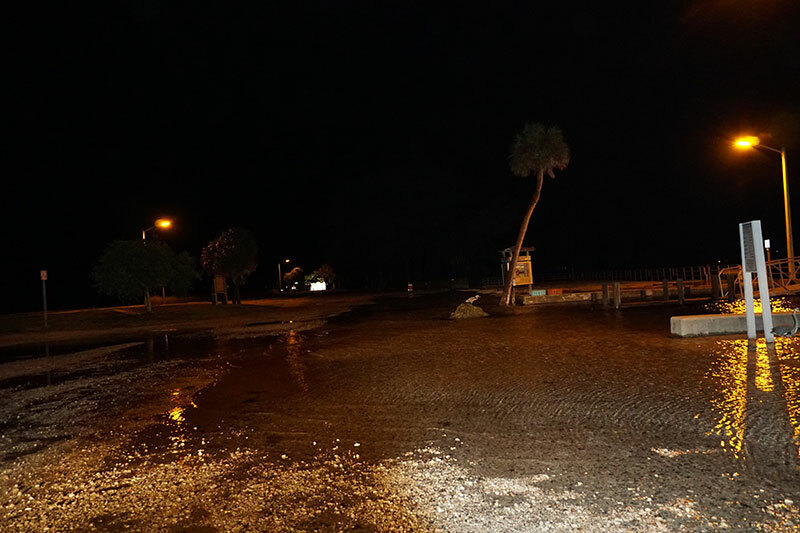 Parking and road flooding occurred by the Island Library on Marina Drive and in some low-lying areas of Gulf Drive in the three island cities. Gary Hickerson, who lives on 75th Street in Holmes Beach near a canal, said water was up to the top of his seawall. “The tide is high, but not too bad,” he reported. And, for the most part, the water quickly subsided as the tide went out. “We fared well. 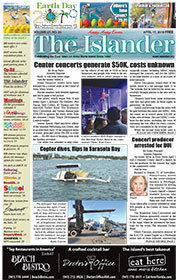 There was no major flooding on the island at all,” Holmes Beach Police Chief Bill Tokajer said Oct. 11. “We had sandbags ready, and did give out a few,” the chief added. A few broken limbs were scattered in the storm, as were patio chairs. The Manatee County School District closed Anna Maria Elementary Oct. 10 in anticipation of severe flooding, which failed to materialize. School buses for middle and high school students on the island did not run Oct. 10. The Center of Anna Maria Island scrambled and organized an impromptu day camp for island kids on their school holiday. AME classes and island bus transportation resumed Oct. 11. Anna Maria Island Turtle Watch and Shorebird Monitoring representatives feared a storm surge and coastal flooding would wipe out the eight remaining sea turtle nests on the island. AMITW executive director Suzi Fox confirmed Oct. 11 that four nests were lost to coastal flooding. However, only minor beach erosion occurred on the island, with Coquina Beach seeing the brunt of washouts. The beach has a history of erosion. Charlie Hunsicker, director of Manatee County Parks and Natural Resources, said the Gulf beaches fared well. He said there was a loss of sea oats but they would make a quick recovery. JT Thomas, HBPD code enforcement officer, checks beaches daily. Oct. 12, he said the storm “smoothed everything out” and he saw no erosion. He said some dunes were topped by water and standing water behind the dunes remained Oct. 12. “The infiltration system worked excellent,” Jones said. “Our workers made sure the valves were open and clean and they did the job they were meant to do.” He reported no erosion on Anna Maria beaches but said sand was leveled out from the ebb and flow of water. 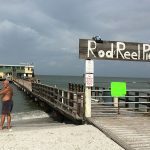 The Rod & Reel Pier, 875 N. Shore Drive, Anna Maria, closed its restaurant due to damages sustained when Michael passed. Rocky Corby said work at the eatery was still underway Oct. 12 after waves knocked out the pipe system, leaving the restaurant without water. While plumbers continued to make repairs, Corby said the business planned to be open by Oct. 13. 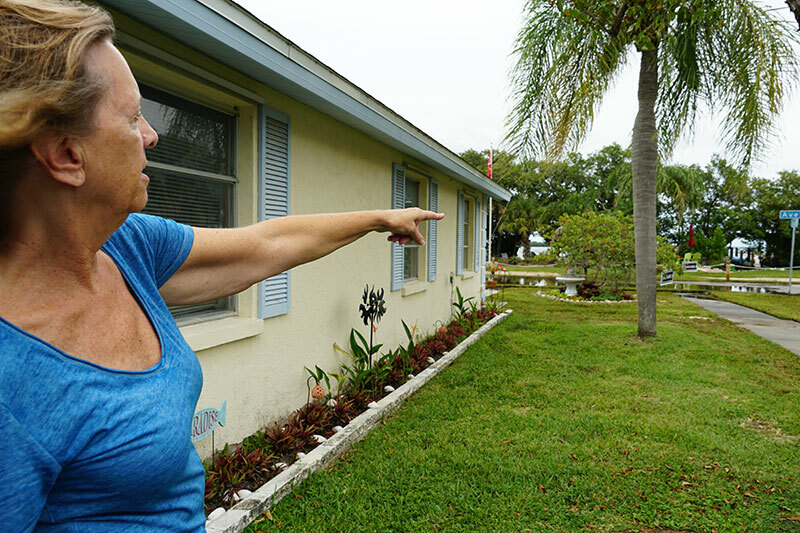 Locals, for the most part, took the storm’s passing in stride but, a year after Hurricane Irma’s strike on Florida, also took some precautions. Fortunately, it was just a top off. By the afternoon of Oct. 11, things were back to normal on Anna Maria Island. People in the Panhandle faced a much different reality.